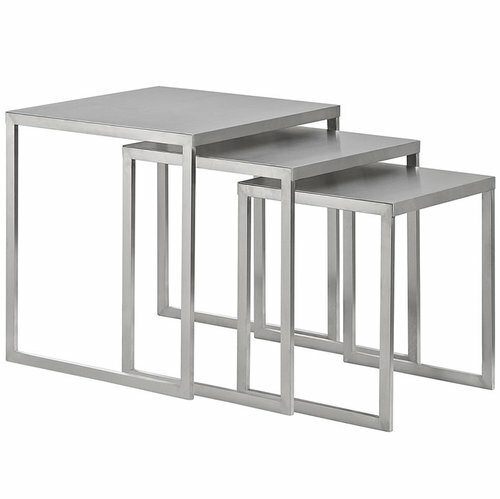 Progress steadily forward with the charged Rail nesting table set. Bolstered by a series of brushed aluminum segments, Rail displays a mode of strategic progress amidst minimalist elements. Pleasing to the eye and resounding to your decor, remain malleable to change with a design that stays fully charged at all times. Perfect for contemporary living rooms and lounge spaces.